Its Summer again and this cute photogenic, gorgeous fruit is back in the market. I picked some of these for garnishing the Birthday cake I prepared for my husband. 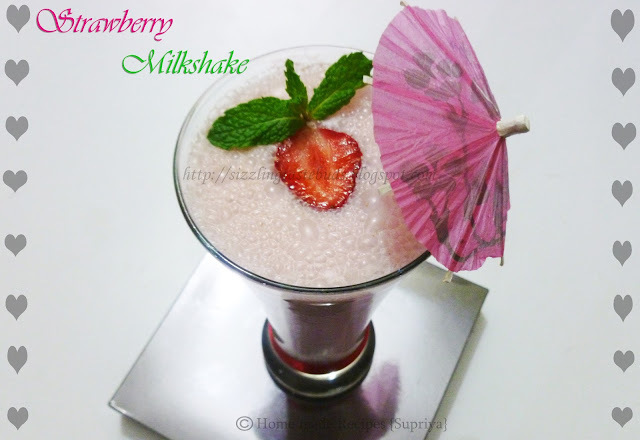 With the rest, I prepared this Pink, creamy milkshake and its so perfect chilled, refreshing drink for this hot hot summer. 1. Wash the strawberry thoroughly and remove the green stalks. 2. Chop the strawberries and blend it in a mixer with sugar till you get a nice smooth strawberry puree. 3. Add chilled milk to this and blend it again for about a minute or till everything combines. 4. Lastly add a scoop of strawberry ice-cream and blend it just for 20 secs. 5. Pour it into the glasses and garnish it with few strawberry slices. 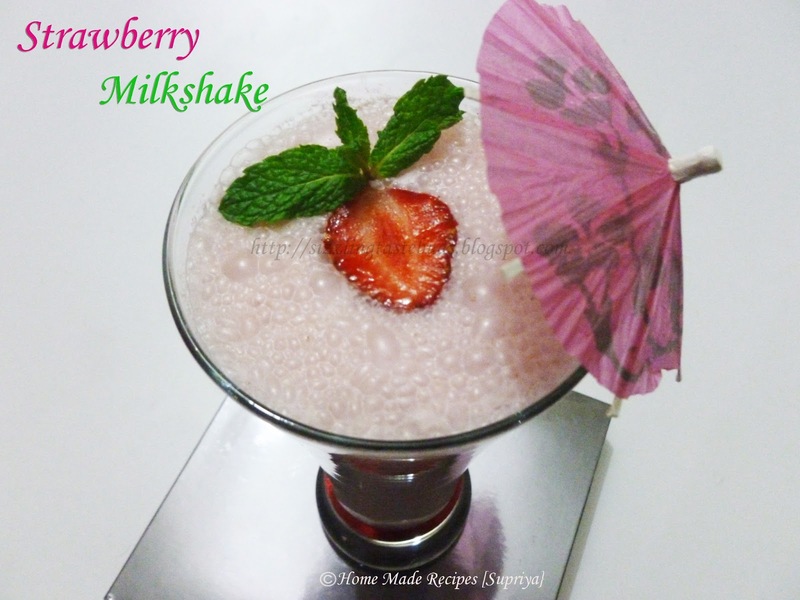 Delicious, girly, pink strawberry milk shake is ready to be served. 1. Do not use warm milk or hot milk for the milkshake. 2. On an average, you will need atleast 3 - 4 medium sized strawberry per glass. Adjust it according to their sizes. 3. You can substitute strawberry ice-cream with vanilla ice-cream. Preferred is Strawberry ice cream. 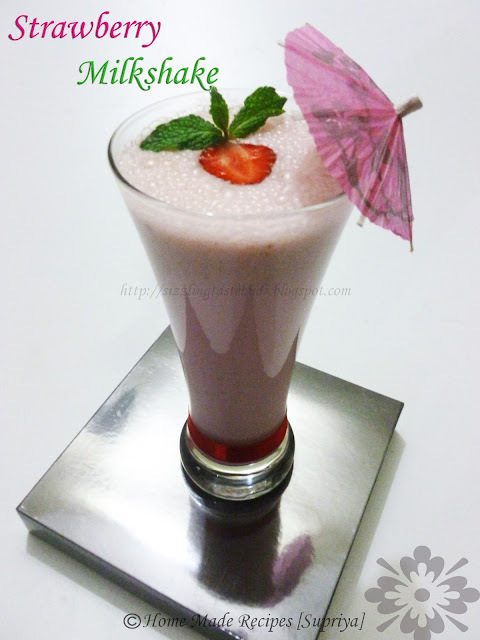 lovely color ans nice clicks..
Hi,perfect drink for summer and love your clicks too.Happy to follow your blog.